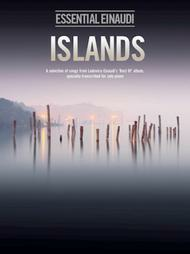 A Selection of Songs from Ludovico Einaudi's "Best Of" Album, transcribed for solo piano. By Ludovico Einaudi. By Ludovico Einaudi. Piano Solo Personality. Contemporary, Classical. Book Only. Chester Music #MUSCH78518. Published by Chester Music (HL.14041655). This Essential Einaudi is the most accurate transcription of his incredible Piano compositions available. 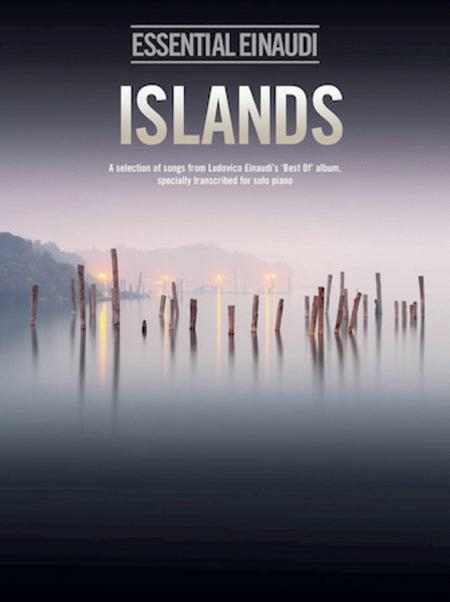 Islands contains the best of composer Ludovico Einaudi's works, such as I Giorni, Nuvole Bianche and Primavera, compiled for the first time into a single collection for solo Piano. Also included here aretwo brand new tracks, The Earth Prelude and High Heels, as well as two remixed versions of Lady Labyrinth and Eros. Einaudi is renowned for bringing classical music back into themainstream, with his compositions for piano and other instruments with piano accompaniment, including some electronic influences in his later work. Albums like Una Mattina, Divenire and In A Time Lapse havebecome hugely popular, and this collection features the cream of these stunningly atmospheric works arranged for solo Piano. These pieces would suit a player who has progressed beyond the beginner stages, but you needn't be a proto master Einaudi, whose middle name is simplicity. Einaudi has garnered critical acclaim throughout the world for his emotionally arresting and powerful compositions that have been used in films like'Doctor Zhivago' and Television shows like Ricky Gervais' 'Derek'. This is testament to his versatility as a composer, able to conjure a number of moods with his characteristic style of beautiful Piano composition. ThisEssential Einaudi is the most accurate transcription of his incredible Piano compositions available. Check out the sample images to the left to see for yourself. Also, if you would like to hear/watch samples ofEinaudi's brilliant work, just see the links below to sample audio and visual content. Nice volume with lovely music. Although difficult to lay flat, the book has nice print, making it easy to read. The music is not complicated and although I generally play more advanced music, I found it very pleasurable to play and very much like the recordings of the composer. May 23, 2012 Excellent book! enjoyable, which, IMHO, is what piano is all about or should be about.